In this book Brittany C. Slatton uses innovative internet research methods to reveal contemporary prejudices about relationship partners. In doing so she thoroughly refutes the popular ideology of a post-racial America. Slatton examines the 'deep frame' of white men found in opinions and emotional reactions to black women and their body types, personalities, behaviours, and styles of speech. Their internet responses to questionnaires shows how they treat as common sense radicalised, gendered, and classed versions of black women. 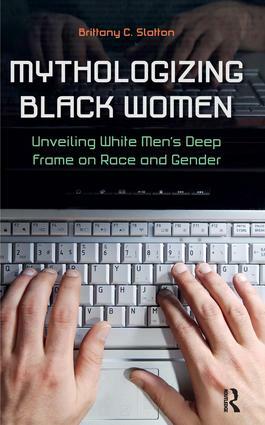 Mythologizing Black Women argues that the internet acts as a backstage setting, allowing white men to anonymously express raw feelings about race and sexuality without the fear of reprimand.